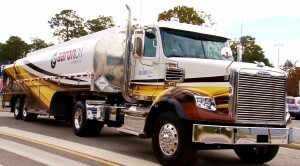 We are proud to introduce Aaron Oil’s Advanced Collection Truck (A.C.T.) the most technologically advanced used oil collection truck in the country. For the last 3 – 4 years, research and development has been going around the clock to bring this truck from concept to reality. A team of engineers partnered with the International Used Oil Research Institute to identify all the best available technologies as well as the best way to build those technologies into one unit. The A.C.T. has been equipped with GPS, video cameras, in line analyzer, over flow sensors and it produces live data real time. As liquid is pumped, the truck uses the inline analyzer on board to identify oil verses water. Simultaneously, the truck will switch the liquid to the appropriate compartment. Safety and accuracy are always a concern. 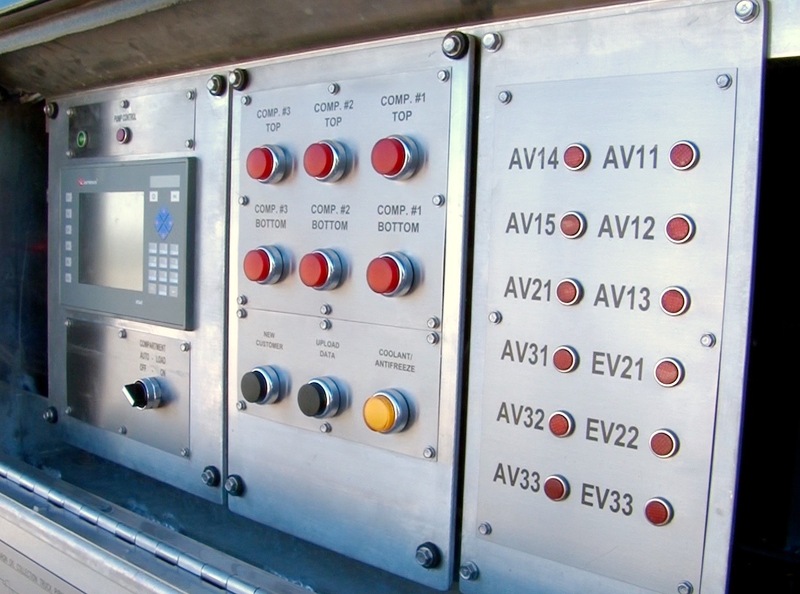 For years, drivers in this industry have been required to climb on top of their truck to switch between compartments based on what type liquid they are pumping. Additionally driver’s also have to climb on top of the truck to determine how many gallons of oil, water or antifreeze they have pumped. This is done to complete a manifest to comply with federal and state regulations as well as to bill the customer for services rendered. In addition to switching compartments automatically, the super truck will generate a manifest based on the gallons collected for each customer. Since the A.C.T. performs both functions automatically, it is no longer necessary for a driver to climb on top of the truck. This improves safety for the driver and prevent any tampering with gallons collected verses what is notated on each manifest. We are very excited about the new Advanced Collection Truck! It is now on the road working every day. We are just beginning to recognize the efficiencies that are gained due to its large capacity, cutting edge technology, drum porch and live data feed. When you are on the road, be sure to look for this latest research and development project delivered to the market place by International Used Oil Research Institute and Aaron Oil Co……..the Advanced Collection Truck!